Piper on the Roof is Elisabeth Vatn’s vibrant and lauded ensemble which album-debuted to critical acclaim in 2009. By some described as “acustic-electronica-folk -punk”, loaded with bagpipes, pump organs, el.organs, new and old clarinetts, jew’s harps and Norwegian dulcimers – Elisabeth Vatn’s unusual mixture of the new and old, timbres and grooves, has attracted a considerable and loyal domestic audience, and gradually turned the focus to the international stages and the grooving international audience. 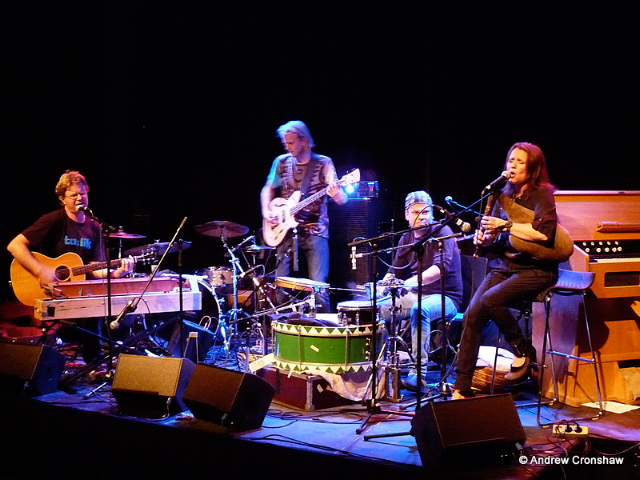 Following the successful release of the first Piper on the Roof album, Elisabeth Vatn and her ensemble has been touring in Austria, Germany, Mexico, Portugal, Japan and Norway.